There has been a lot of things on my mind when I think about my family. One of the many things is on how more importance is put on material items instead of people and God. Materialism is when we are preoccupied with material things instead of relationships and God. We are to “love the Lord, your God, with all your heart, and with all your soul, and with all your might” (Deuteronomy 6:5). 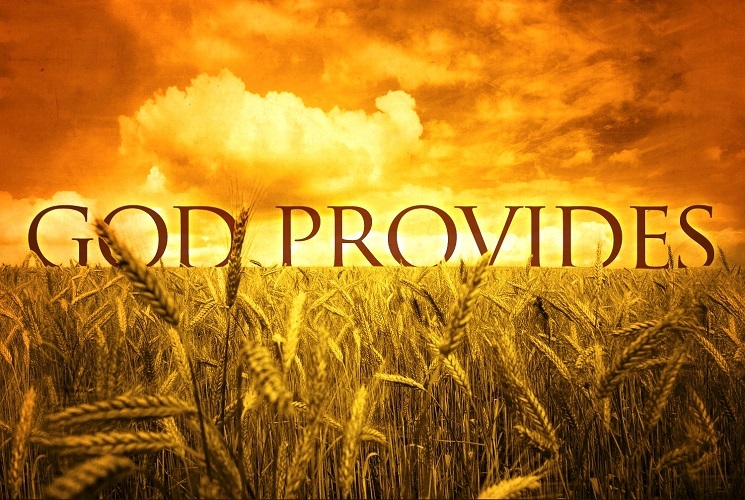 How can we serve God if we are preoccupied with material items? 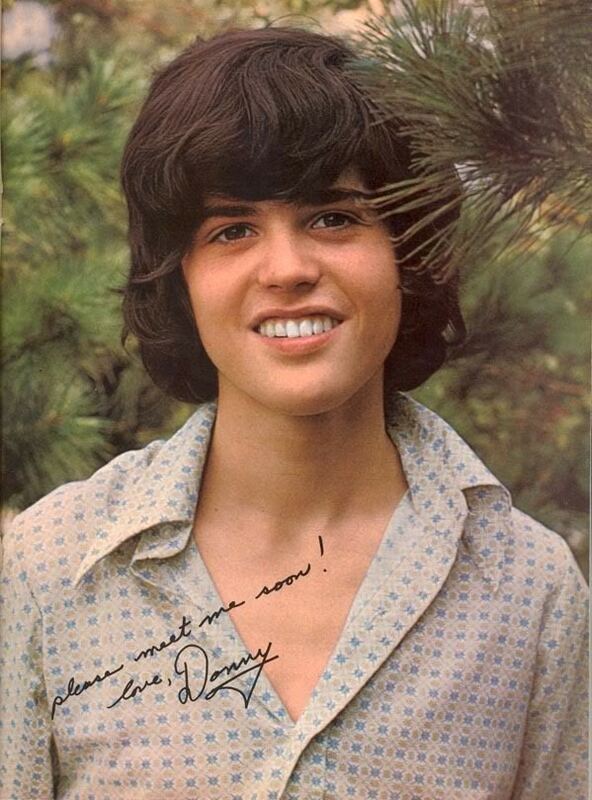 Donny Osmond when he was younger. I had this poster on my wall at home. I left home at a young age and I am thankful everyday that I did that. I realized as a child that money and possessions was always going to be more important than I was to my parents and that also goes for my siblings. As I was getting older, I felt I was different. The reason I say that is that I never really cared about keeping up appearances and the Jones. I wanted a nice home and I had aspirations of driving a Corvette or a Silverado Truck. I also had dreams of marrying Donny Osmond and was heart broken when he got married. I thought the song Puppy Love was written with me in mind. I guess he didn’t get the memo that told him he was mine. These things at the time seemed important to me. It isn’t unrealistic to want nice things and to dream. When I look at how people on the show “Hoarders” accumulate items that they think they have to have. I can’t help but think of how my childhood was. My parents had nice cars and always a nice place. I remember one day as I was standing at sink doing dishes my grandpa Doyle told me that he would give me a dollar and I could have it if I gave him a hug. Something was wrong with that statement. I was upset and I got the impression at that point that money buys love in his mind. I did and still do love my Grandpa Doyle. He would take us out rock hunting and would spend time with us when our parents basically pushed us aside. He didn’t need to pay me to have me give him a hug. My parents or I should say my mom also did something like that. I left home when I was 14. She told me that if I came back she would buy me $300.00 worth of cloths. When in reality all she needed to do was to say that she missed me and loved me and that is all it would have taken to return home. Material items and prestige has a way of ruining people. There is no amount of money or power that can make a person happy. God isn’t against us if we want to drive a awesome sports car as long as it is something we can afford. God gives us everything that we need. For me, I needed to focus more on the blessings God has given me and the principles in the Bible. It isn’t always easy to do that. I can have all the riches and health the world can provide. But, they will never truly make me happy. When I look at what the Bible has to say, it isn’t about all the stuff that we have that makes us materialistic, it is our attitude. In 1 Timothy 6:10 is says, “The love of money is the root of all kinds of evil”. I can totally see how this is possible. Just the other day a women who won the lottery committed suicide. She had enough money to take care of her and her needs for life. But it wasn’t enough to make her happy. I can see how it is the root of all evil when it comes to my family also. My parents have nothing, yet everyone is there trying to take what little they have. When there is no money or stuff anymore, they they take off and they are no longer there. Once they get what they want, they are out of there. I have a friend who died and wow, the vultures came out of the woodwork faster than nothing. Money and greed has a way of destroying people. I always thought I wanted to win the lottery and build a huge house and donate to my church. That isn’t the case now. Many times people will ask each other what will they do with the money if they won. I have my long list of things. I don’t think I could handle that amount of money. All I could see is that people would be wanting to be my friend because of the money and what I could offer them. Too many times we rely on material things that we feel could complete our lives. When really only God can take care of our needs and help us feel satisfied. In the Bible Solomon is the richest and most powerful king that was known. Solomon had everything any man has ever wanted and yet he wasn’t happy. With all the wealth and material items Solomon had he didn’t have happiness and was unsatisfied. King Salomon said, “Whoever loves money never has money enough; whoever loves wealth is never satisfied with his income” (Ecclesiastes 5:10). While I was looking up this topic the other day I came across this on one of the sites. It was saying that the Bible tells us that a person’s “life is not in the abundance of the things which he possesses” (Luke 12:15) and that we are to “seek first the kingdom of God and His righteousness” (Matthew 6:33). If someone were to come up to me and ask me if I was rich, I would say “of course I am”. Even though I would think they are asking about material wealth like a huge bank account, expensive cars, a large house and so on. When I think of the wealth and riches I have, I think of my family and friends. I don’t need money to make me happy. God has blessed me beyond measure. Christ wants us to understand where the true treasure may be found. It is not to be found upon this earth, but in the eternal realm. True riches can’t be locked up in a bank. 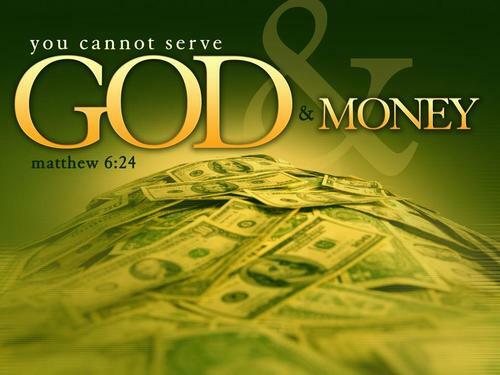 It is found in service to God. 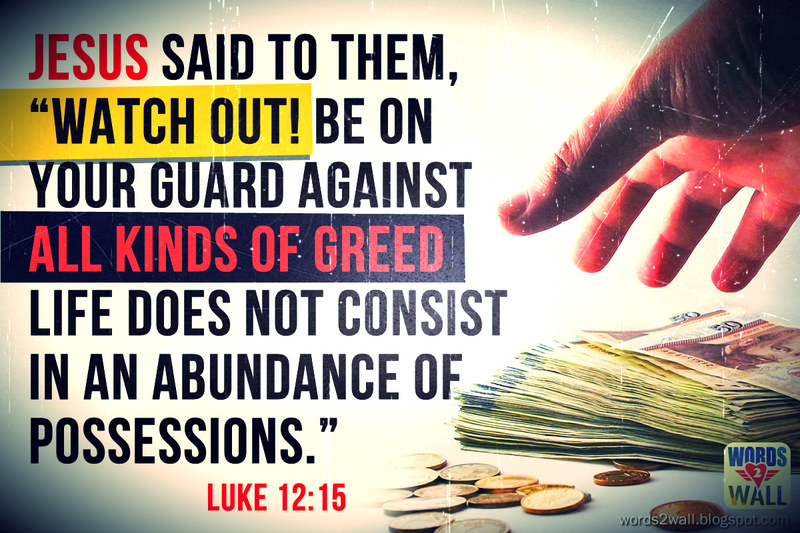 There is a verse in the Bible that talks about how difficult for the wealthy to enter God’s kingdom. I have wondered why it would be hard for them to enter God’s kingdom and I would think it is because they place the things before God and their first priorities are their material possessions and themselves. In conclusion I just want to say that I need to make sure that I put God first in my life. All things belongs to him. Also we shouldn’t put our trust in material items and wealth. Stock markets, banks and other businesses go bankrupt and collapse.But God will never fail and He is always there. You have done a lot more than I would or could. I know so many that have gone out of their way to only be burned and thrown under the bus. I lasted only 7 hours total while I was visiting them and that was all I could handle. You know who I was thinking about when I posted this blog lol. When people put others over materialistic things, they are the ones who are loosing out on the relationships. I remember when you went out of your way to help me get my cloths when I ran away from home. It is sad that I had to sneak back to the house so you can help me at least get my clothes. I know you had to have gotten into a horrible amount of trouble for doing that. No matter what choices mom and dad make, those are their choices. They don’t have to dictate who we are. God is in control of everything and to God you are loved and we are more valuable to God than all the gold in the world. You and Bren are more valuable to me than any materialistic thing in this world. Just think that when we get to the other side that there will be no more pain or suffering. Things of this world will pass away, but Gods love endures forever and I love you and Bren unconditionally. You are so right God does have his plan and yes he does love me I must say you have been more of a parent than they have yes I got into HUGE tons of trouble for that,but it is ok you were worth it,maybe a part of me felt like I was helping in rescuing you,and I know you tried to rescue me on more than one occasion but the biggest was the time you tried to get me out of there before I was well I will be nice passed on for MATERIAL things, I am so grateful you tried but I must say it was funny when they opened the drawer and your stuff was gone LOL all kidding aside yah I tried and I must say I now can totally empathize with Bren she too put in her all and to be thrown under the bus and by one SIBLING still being threatened and Mom does want to see her but with the threats that one person will go to any length to keep all away and have others see him as the HERO and how can a parent allow this ? who knows but our God he knows where our hearts are at and 7 hours or 7 weeks we have all tried and that is what matters, I must say tho that I did learn a lot there and one of them is I DO MATTER,Im not disposable and I can and do all things thru Christ who strengthens me,and that NOBODY will abuse or mistreat me any more, I will not say I did something when I did not ,I am by far not perfect and Lord knows I have made my share of bad choices,but today I do my best to be near the family and friends that truly love me like YOU,BREN,kev and his family I love you Sandi and I look up to you, Chuck you are both amazing people with hearts of GOLD. I agree, Amen to Gods word I was there. I made my share of mistakes and I’m sure I will in the future but it it not what you did yesterday but what you do today. I Love my parents very much. I want to say I went to my parents home and moved in next door by their request. I was there to spend quality time with them. I forgive them for what was done. My comment is: about personal gain. I have no regrets but I have boundaries. I have siblings to what that is what it is all about. I also know the old rule: Divide and Concur and that is what it was being played with me. I am am at peace I surrender and put that situation on prayer lists. I left everything and I mean to where they even took the Christmas gifts back, Oh well laugh out loud but one thing is by setting boundaries for the way I wanted to live my life and not live it they didn’t like it. I think saint en has a thrown in that house and you can feel it. Nothing but pure evil I say. God will prevail and his will be done. AMEN to that. I too lived in the past walking on eggshells verbally and physically abused and it took me 50 plus years to say NO> personal items mean nothing to me I just want my parents to live the rest of their days in peace and happiness and no worries about that plate,bowls and cabinet in other words possessions. this can also fall under the category of Idolatry. I have wanted to see my parents each time I have been threaten by a sibling and others were told that I will be arrested if i do try to visit this is only 1 incident there are many more. I have been gone for approx 2 years all I want to do live my life. I just got another one from this sibling. It is not about anyone it is about my mother is dying and they are afraid we will have a parent daughter relationship. I don’t want a thing I know saint en works in that home and we just need to give it to God. Read Luke 12:15 and John 3:16. One of the many things is on how more importance is put on material items instead of people and God. Materialism is when we are preoccupied with material things instead of relationships and God. We are to “love the Lord, your God, with all your heart, and with all your soul, and with all your might” (Deuteronomy 6:5). Now has anyone seen a U-Haul behind a Hearst? I haven’t. You have been thrown under the bus so much Bren and it is sad that no matter what any of us do to help, it is never enough. What you went through is something that nobody should have to go through. I am working on a blog about how evil things are there. I have never seen parents that treat their children the way they do. You have to make sure to do what is healthy for you and for your spiritual well being. I don’t understand how parents can do the things they do and expect people to stick around. You did everything you could do to help mom and dad. I am proud of you and I am blessed to call you my sister. No matter what is going on with mom and dad, I can tell you honestly that there is nobody that can separate us unless we do that on our own. It is something I refuse to do. I can say this God has a plan. I am so thankful and grateful to be blessed with the love of family and friends that are in my life. I would like to say to all that about family first of all God is our father and the family here on earth we can choose how we would like it to be. I choose life supportive not life destructive. I have a wonderful family I make it what I want to I’m around the part of the family that is loving and caring along with the friends I have. I choose how I would like to live and be around they do not choose me. I trust to my father God my threshold. What is so sad my mother is dying and wants to see me but I have a sibling there that threatens me when I plan on visiting. I do not understand how or what and even why the sibling doesn’t want me to see my mother. The sibling will go to what ever length or means to set a person up and you don’t even live there like I said I have been gone two years and I would love to see my mother before she passes but I would need to take a lot of people with me so the sibling / siblings do not accuse me of anything ( witnesses). I do not understand why the sibling / sibling fear me to see my parent. It could be I love mom and dad and I would be there with my heart in it and not for possessions. I don’t know but I said it before God has it and he is bigger than the highest courts around. I love them so much and my family and my friends all I want is to do each day to try to be life supportive and not destructive. I don’t understand it either Bren. It boggles my mind and it is hard for me to comprehend what is going on down there. I do think that evil is dwelling there and that is why you are coming up against those who are blocking you from visiting mom and dad. I know you love mom and dad with all your heart and soul. I have been praying over this situation for so long and I know that only God can fix this and only God can change the heart. Unfortunately, God also gives us all freewill. I don’t know what the answer except that I give it to God and I pray that the evil forces down there can be blocked. It is heartbreaking to know that mom is going to be gone anytime now and more than likely dad doesn’t have much time. At this time of their lives, they should have peace, not fighting over material things and possessions. I will pray very hard and have others pray that God will open the door so you can go down there and see mom without all the fighting that our siblings are causing.